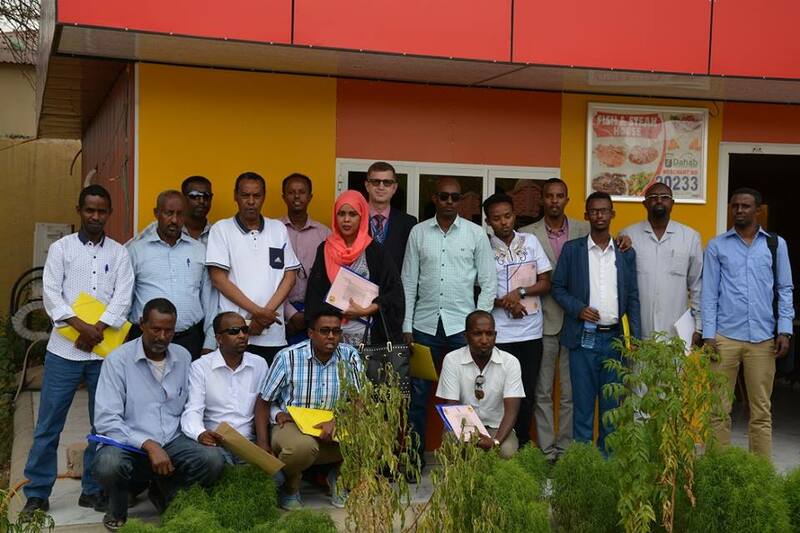 February 2018 - In Somaliland, the UN’s Joint Programme on Local Governance and Decentralized Service Delivery (JPLG) has helped to clarify the legal framework, functions, roles and responsibilities between the central and local governments and in line with the 2014 decentralization policy, making collaboration around service delivery in districts more effective. February 2018 - Before 2008, many local governments in Somaliland and Puntland were in a state of financial disarray preventing institutional development and the ability to deliver any meaningful services to citizens. Very small amounts of locally raised revenues in districts were used on recurrent expenditures, such as salaries and fuel. Boroma, Somaliland, February 2018 - Every month over 200 community members in Boroma receive a series of questions on their mobile phones about the quality of local education, health and water services. Their feedback is captured in monthly reports shared with local officials and Ministries and discussed at regular meetings. Berbera, Somaliland, February 2018 - Annisa Ahmed Mohamed Huseen, a Grade 8 pupil at Omar bin Khataab Primary School says she appreciates the high quality of teaching at her school and aspires to be a doctor. UN JPLG had the pleasure of catching up with Somalia’s first ever woman Deputy Mayor, the dynamic Maluka Dheere Sheikh Abdulkadir, whose responsibilities cover Management of Administration and Finance for the Municipality of Mogadishu. On 13 July, an uplifting ceremony, presided over by Puntland’s President, Abdiweli Mohamed Ali Gaas, took place to mark the handover of a modern and sophisticated building that will house Puntland’s Ministry of Women Development and Family Affairs (MOWDAFA) in Garowe. The Federal Government of Somalia is working to create strong, organized and representative district councils, as part of its efforts to improve effectiveness in, and service delivery by, local governance and in line with the Wadajir Framework. Garoowe-Wasaaraddaha Maaliyadda iyo Arrimaha gudaha oo ay waheliyeen saraakiil ka socotay Hayada UCNDF iyo Xafiiska isku xiraha ee Mashruuca JPLG ee (PMU), ayaa khamiistii 08-12-2016 waxaa shir iskugu yimid, ayadoo looga hadlay hormarinta dagmooyinka Puntland iyo in la helo qoondo rasmi ah oo ay dawladdu ku bixiso Hormarka Dagmooyinka. The Ministry of Finance has organized official meeting to foster the Auditor General mission to investigate and auditor districts projects implemented in 2015. 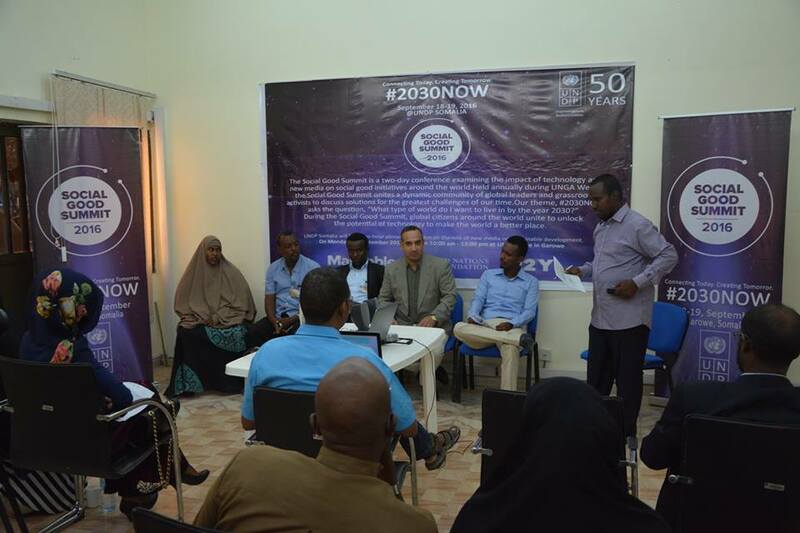 United Nations Development Programme (UNDP) in Somalia has hosted the Social Good Summit event in Garowe, bringing together local leaders, members from the community and media personnel to discuss ’The Role of Media in the Development’’ and join the global conference where ideas meet new media to create innovative solutions.